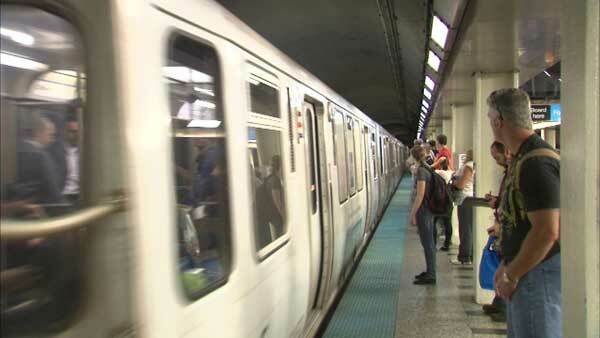 CHICAGO (WLS) -- Two separate projects mean you'll need to allow extra time if you're riding the CTA this weekend. On the Red Line, the southbound subway will be closed between Fullerton and Cermak-Chinatown as crews complete maintenance work. Trains will be re-routed to the elevated tracks beginning at 10 p.m. Friday until 6 a.m. Sunday. On the Green Line, there will be no service between Roosevelt and 35th/IIT From 1:40 a.m. Saturday until 4 a.m. Monday so crews can continues work on the new Cermak-McCormick Place station. Free bus shuttles will operate between the stations.